Gordon Brown's attempt to create a government of all the talents may have lacked some of the wow factor many had been expecting. But, coming on the day of the latest attempted bombing in London, the emphasis on bringing professionals into the roles of security advisers will likely meet widespread approval. 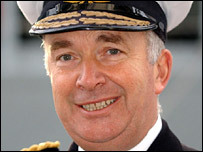 It is a controversial step to give a ministerial post to a military man, in the shape of former head of the navy and Falklands veteran Sir Alan West, who joins the home office with responsibility for security. 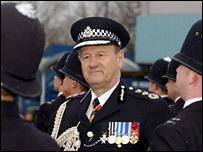 It is less unusual to offer advisory roles to individuals, so the appointment of former Metropolitan police chief Lord Stevens as international security adviser will raise fewer eyebrows. Indeed, it will be seen as a minor coup as the Tories appeared to have been wooing him for some time. But with the nation's security thrust back into the headlines in the most dramatic way, the prime minister will hope his appointments will both reassure the public and boost the fight against terrorism. They also help underpin the message that he intends to continue his predecessor's determination to tackle terrorism with all the means available to him. The announcement of the new government names did raise the thought with some that Liberal Democrat leader Sir Menzies Campbell had denied Mr Brown his greatest planned surprise. Mr Brown had been hoping to bring former Lib Dem leader Lord Ashdown into the government but the offer was rejected by Sir Paddy and his leader vetoed any other similar appointments. Mr Brown did manage to persuade Lib Dems Lord Lester and Baroness Neuberger to become advisers on constitutional reform and volunteering, respectively. But their appointments did not have the impact Sir Paddy's would have done. And there was no surprise that former CBI boss Sir Digby Jones was appointed as an adviser with the task of promoting trade, it is something he has often undertaken in the past for the government. Many in the Labour party will be disappointed that John Cruddas, who won a great number of admirers during his straightforward pitch during the deputy leadership campaign, appears to have turned down a job offer. Still, Mr Brown will certainly be able to point to these changes as more evidence that he meant what he said when he spoke of inviting "men and women of good will to contribute their energies in a new spirit of public service to make the nation what it can be". In the end, of course, it will not be the faces that matter it will be the policies. All attention will now focus onto exactly what the prime minister and his new team have planned for the country.